We offer bookings directly at the choicest hotels in Maldives, India, Nepal, Bhutan and Srilanka. We make sure that you get great accommodation and ensure availability of rooms at low rated and give you fabulous discounts. We allow you to compare the service standards, quality of hospitality and rooms and the prices before booking and work out great comfy solutions to your traveling needs that fit into your budget. We offer budget to luxury and premium heritage hotels and accommodations, just for you. Savion can arrange business meetings, conferences, conventions, exhibitions, events, seminars, trade shows, weddings and workshops anywhere in India. We maintain total professionalism in all our services and can work out a customized event for you within your budget. We take care of all aspects of organizing a conference and managing the event and we are quite accommodating to your needs and can adapt our services to suit our clients. We can arrange regular meetings with our client to get a constant feedback on our preparations and set agendas and work within the strictly observed time schedule to maintain smooth functioning and successful culmination of the event. We can advise you on the cost, location, room and venue sizes, catering areas, exhibition areas, audio/visual facilities and alternative options. 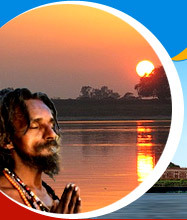 We cater to all kind of tour and tourism facilities such as local sightseeing tours. We offer you guided tour of the premium tourist destinations in India such as Taj Mahal, Khajuraho Temples and Red Fort. Sightseeing with a native guide that can take you to the most beautiful locations from where you can have offer breathtaking views and add to your experience by recounting the interesting history, folklores and highlights of the region will leave you wanting for more. You may also opt for Safaris such as Elephant Safari in Jaipur, Camel Safari in Sam Sand Dunes and Jeep Safari in the famous wildlife sanctuaries of India. Elephant Safaris and Boat Cruises are some of the most popular ways of getting a close look the terrestrial and aerial fauna of the National parks. Boat Cruises in the backwaters of Kerala and Shikara ride in the Dal Lake are worth lusting for and we bring more for you by offering you a stay in the houseboats at Kashmir or rice barges in the South. The soft waves of the mighty rivers of India make them a wonderful experience. Inter-city Tours are the best options when it comes to saving time and yet see a lot. They offer you the best of all the cities included in your itinerary in lesser time and more relaxation. We can plan customized tour packages to suit the need of our clients. We can organize group tours as well as individual tour package, depending on the budget and requirement of our client. We can plan itineraries to include the destinations that you wish to visit, book tickets and hotels for you, advise you on the meals that you may like and arrange for your transport too. We offer special discounted packages and other promotional offers to corporate clients and our regular customers too. An innovative idea to give a friend a break from the hectic work schedule is to gift him/her a holiday in one of the famous beaches of Goa. 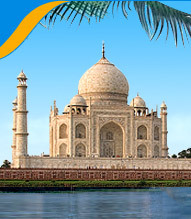 Gift your newly wed daughter a romantic getaway for two at the monument of love, the famous Taj, and see her glowing. 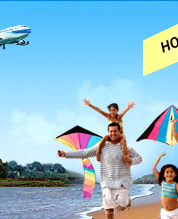 Savion Travel Services Pvt Ltd offers many such gift ideas that will make your gift 'once in a lifetime' experience for the happy receiver, and all for the fraction of cost of the other expensive tourist destinations in other parts of the world. The holidays that you gift can be short or long and they can easily be tailored to suit your pocket and the choice of the person who cashes them with us. They may or may not include the meals and can feature sightseeing, premiere shopping destinations, cultural shows and exhibits and all the very best in India. Savion offers you some of the best romantic getaway packages for the newly wed couples. Splurge in all night dances and pubs in Goa after strolling on beaches for long hours. You may love to sunbathe together, swim and get involved in lot of exciting activities such as aquatic sports and river cruises. You can find cozy secluded beaches too, where you can get your adrenaline up by drinking cashew Feni. If you want to live a life of Prince and princesses, come to land of Kings, Rajashan. The Lake Palace of Udaipur is perhaps the most romantic heritage hotel with lush and beautiful gardens, water all around and fabulous architecture. Go on a camel safaria nd watch the sunset at Sam sand dunes. A day or two in a Kerala houseboat, cruising slowly on river backwaters and hiking with each other at the famous hill resorts are some of the Indian dreams that you must experience. The tropical island of Srilanka has some of the most romantic destinations to explore too, fit enough for the honeymoon couple that wants a break from the usual tour options. We offer you the services of the expert, experienced guides that make sightseeing tours, an experience to remember. These guides can tell you all about the tourist destination you are visiting in your own language and are trained to handle all your queries and quench your thirst of knowledge and curiosity about the area. Our guides are knowledgeable and have researched well into the past of the preferred tourist sites; interesting legends and folklores attached to it and can point out all the highlights and unique details of the sites well enough. They can tell you the exact dates of all the related events and can even tip you off on the best buys or the culinary specialties of the region. We only hire licensed well-trained guides to be placed at your service. 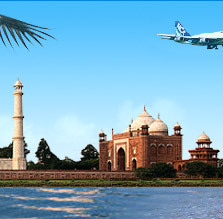 We provide air tickets for all the domestic and international flights within and outside India. You can specify the destinations, specifications, timings and dates of the flights and we can book your tickets and deliver them to your doorsteps. We can also offer you assistance in suggesting the best flight or railway options to commute within India according to your budget, time available and your needs and requirements. We book cars, vans mini coaches and buses for you to travel across India at your leisure. We have various cars available and you can choose economical, luxury or premiere cars, petrol or diesel cars, according to your tastes and budget. You may choose other options according to the size of the group you are traveling with and how you choose to travel.